Convert at 10X Faster Speed. TunePat Amazon Music Converter is a professional Amazon Music tool specially designed for lossless recording Amazon Music to help subscribers enjoy Amazon Music more freely. It requires no need to install any extra apps to get plain audio files from Amazon Music Unlimited & Prime Music. With the program, you can backup your Amazon Music on your local computer, transfer them to other devices for convenience and more. If you’d like to download songs from Spotify to your local computer for offline listening, TunePat Spotify Converter, a professional Spotify Downloader, is an essential tool for you. 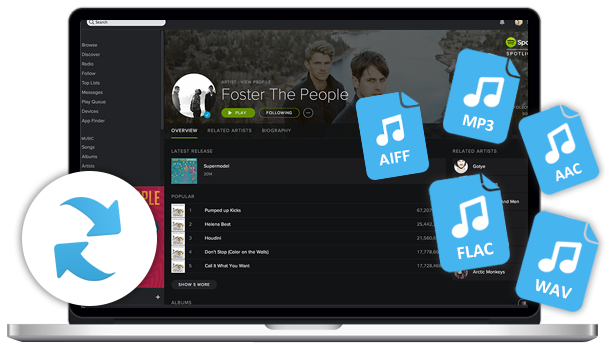 With no need to install Spotify or any other apps, TunePat itself enables you to get plain audio files from Spotify and save your favorite songs from Spotify as local files for enjoying more freely. 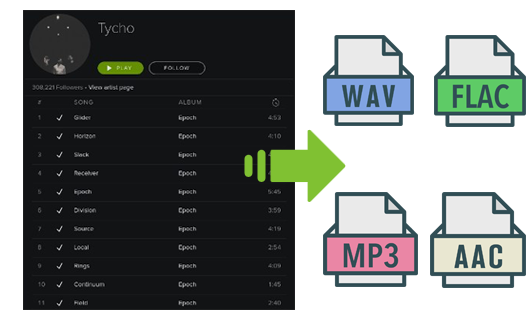 TunePat enables you to convert your Amazon Music and Spotify songs to common MP3/AAC/WAV/FLAC format with lossless output audio quality and ID3 tags kept. In addition, you are able to classify the converted songs by various ways - Artist, Album, Artist/Album, Album/Artist or None so that you can keep your Amazon Music or Spotify songs in order and pick up the songs you like for listening easily. 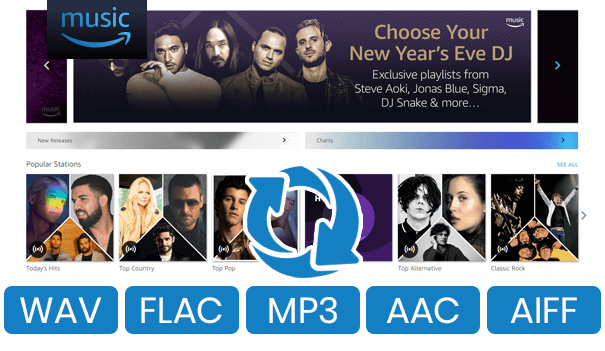 To those who own a large music playlist with tons of songs, the conversion speed is one of the factors they consider most when coming to choose a suitable music converter. Currently both TunePat Amazon Music Converter and TunePat Spotify Converter support converting songs at up to 10X conversion speed while ensuring the output audio quality. 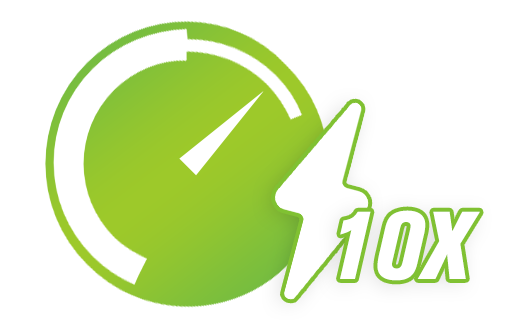 The program will be kept updated to be fully compatible with the latest Windows & Mac OS as well as the latest version of Amazon Music & Spotify. Most importantly, it’s one-time purchase for lifelong free updates. 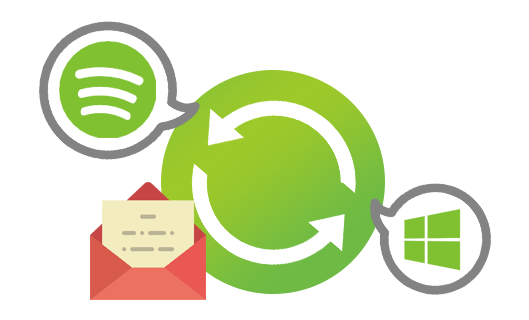 In addition, should you encounter any problem when using the program, just feel free to send an e-mail to the support team and you’ll get timely technical help for free. It works like a charm. After selecting Amazon Music and then press “Convert” button, all my favorites are exported out to my local computer. I can enjoy my music without limits NOW. TunePat Spotify Converter is a 100% clean program! 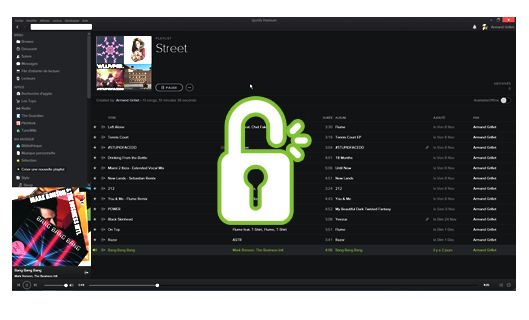 With no need to install any extra hardware or even the Spotify app, you can download your Spotify songs as local files. That’s amazing!